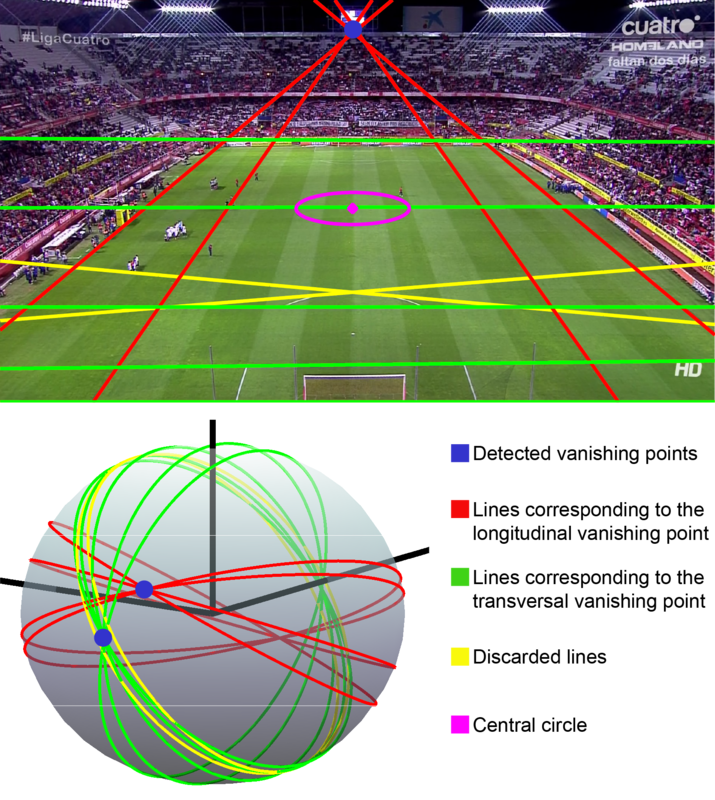 Soccer field modeling based on a robust automatic line classification and on key-point identification. Automatic and unsupervided field segmentation based on the estimation of the probability density function of the green chromaticity of the image, able to provide high-quality results in a wide variety of scenarios. Line detection and classification into longitudinal and transverse lines through an innovative and fast vanishing point-based algorithm. 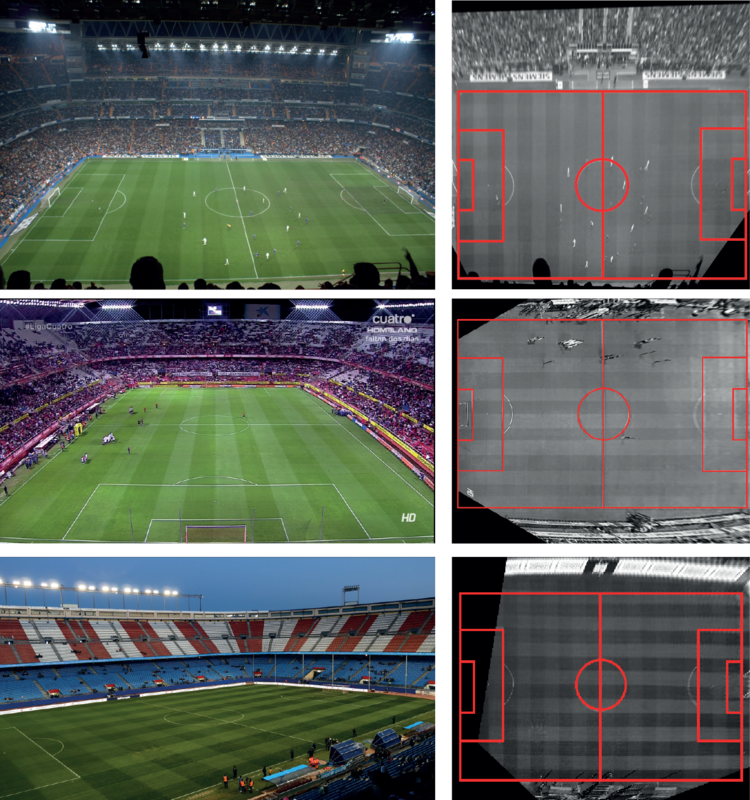 Field rectification starting from the field landmarks whose size is rigidly stated by IFAB: the penalty areas and the central circle.